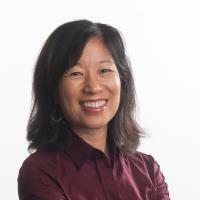 Lori Nishiura Mackenzie is Executive Director of Stanford University's Clayman Institute for Gender Research, and the co-founder of the new Stanford VMware Women’s Leadership Innovation Lab. Under her leadership, the Lab launched a corporate affiliates program, a learning community of corporations, government agencies and thought leaders working together for change. Lori speaks globally at organizations such as the European Central Bank, the Watermark Conference for Women and the Association to Advance Collegiate Schools of Business. She publishes her work in outlets including Harvard Business Review has been cited in the New York Times, the BBC, San Francisco Chronicle, brand eins, etc. Lori was featured as one of the BBC’s 100 Women in 2017, and she was interviewed for the documentary, bias, which will premiere in 2018. She led the work as the founding educational partner for the launch of LeanIn.org and teaches executive education at Stanford Graduate School of Business. Lori brings 20 years of marketing strategy and business management experience from companies including Procter & Gamble, Apple, eBay and PayPal and is a board member for the Alliance for Girls. She has an MBA from the Wharton School of Business and a BA in Economics from the University of California, Berkeley.